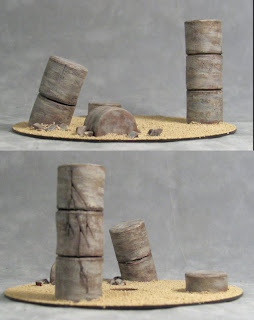 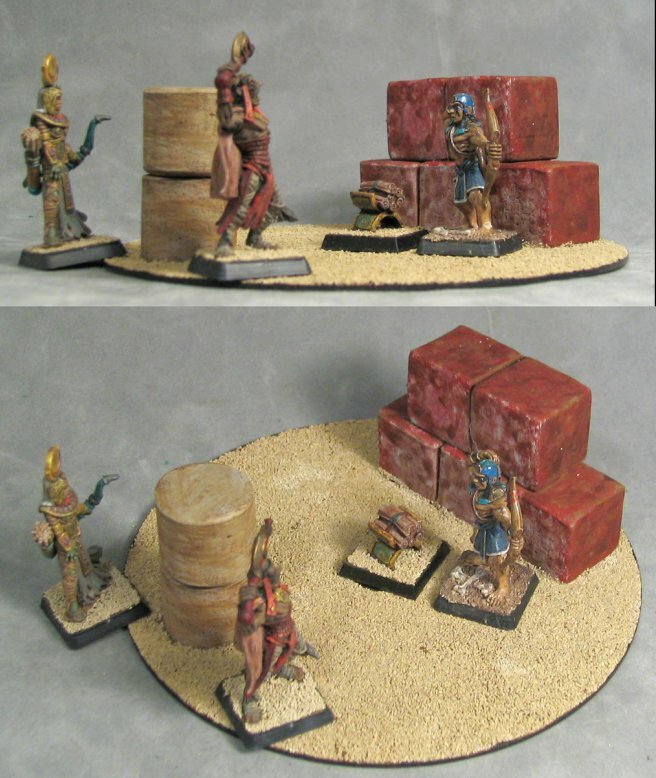 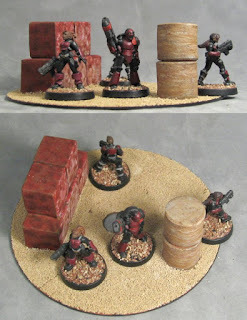 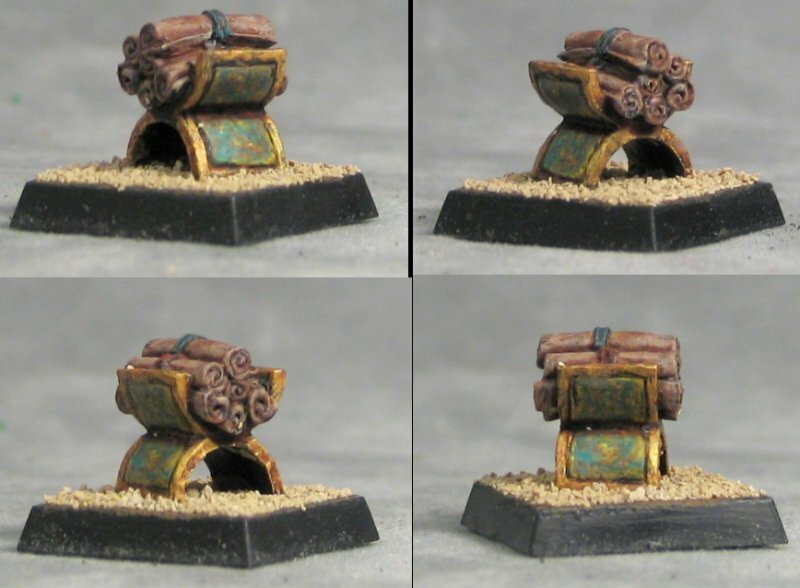 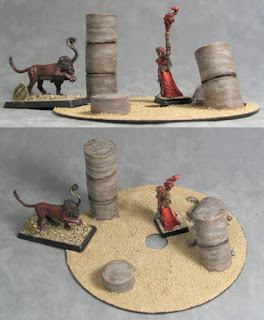 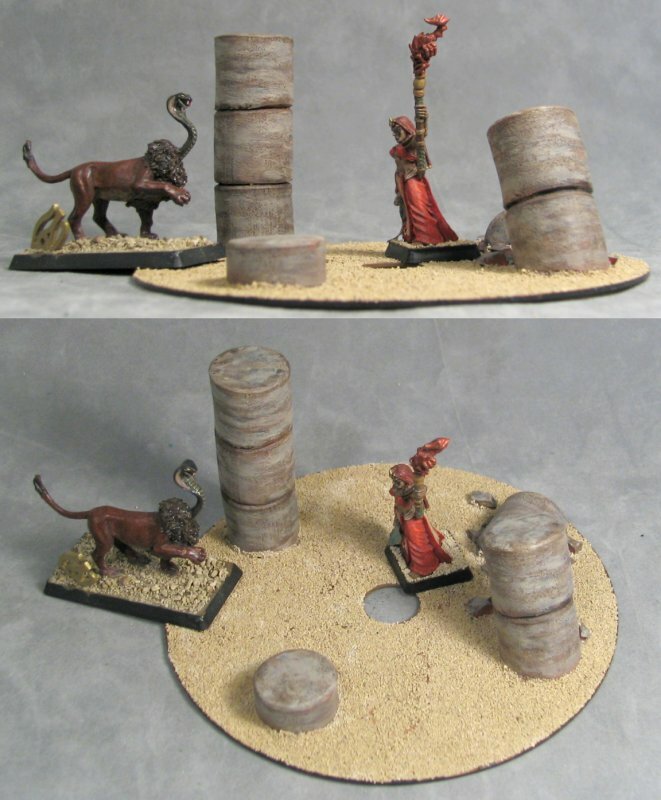 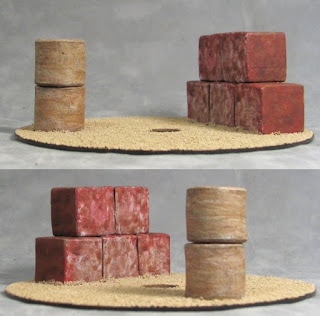 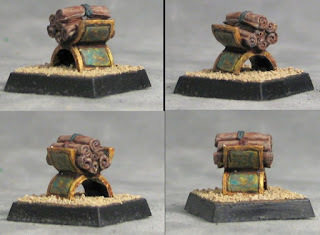 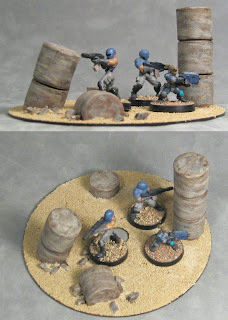 A couple of CD-based multi-genre ruins, a WarGods scroll stand. 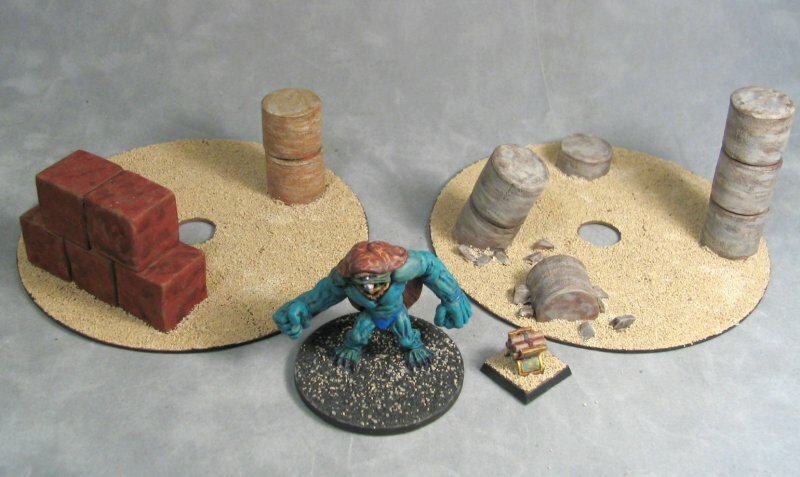 and an a;ien guy I like to call 'Digdug' rebased and repainted. 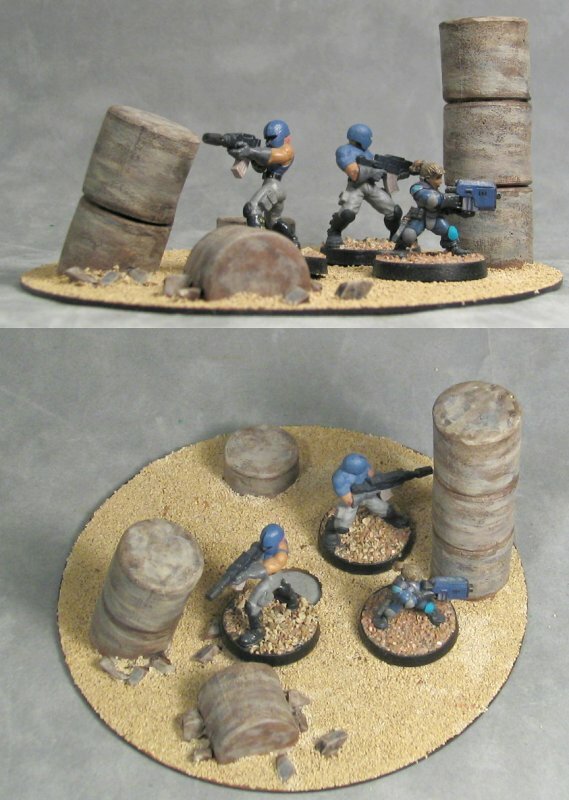 First up, Digdug fromthe old Trinity Battleground game. Based on a more fitting sized base he's ready to take his place with the rest of the spaceport folks (or possible spaceport folks).